Asami is a voice actress who performed as Chris Makise on “ STEINS;GATE”, Mayu on “Noragami” , Noir/ Blackheart on “Chojige Game Neptune”, Ikaruga on “Senran Kagura”, Tsubaki=Yayoi on “BLAZBLUE ALTER MEMORY “, Chishin on “Momokyun Sword”, Yuki Yatsuka on “Girlsfriend”, Chihaya Kisaragi on “THE IDOLM@STER”, Ayumi Shinozaki on a game “Corps Party”, and Ando Ringo on “Puyo Puyo7”. She also hosts a radio show titled Asami Imai’s Singer Song Gamer”, expanding her career even farther. In the latter half of 2008, she started her artist career singing “EVER17”’s opening/ending theme song. 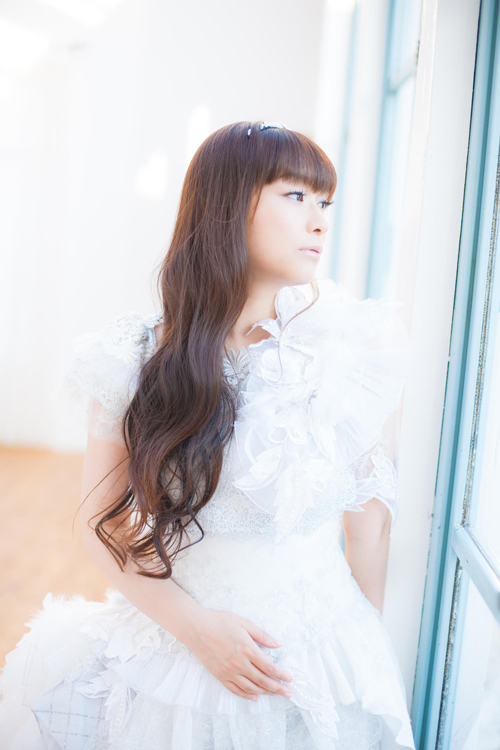 In April 2009, her debut single “Day by Day / Shining Blue Rain “ was released. In March she released her 12th single “Shikkokuno Sustain” an opening theme for “Cho-megami Shinko Noir Gekishin Black Heart” in March 2014. On July 30th “Tsuiokno Itoguruma” an ending theme for “Kamisama to Unmei Kakumeino Cross Theme” and on August 27th “”Venus no Harmonia” as an opening theme for “Chojigen Action Neptune U” were released. In November 2010, she release her first album “COLOR SANCTUARY”, followed by “Little Legacy” an acoustic album in 2014. Her first solo show was held at Shibuya WWW in December 2010, and at Shibuya O-EAST in May 2011 for the second time. Her tour “Aroma of Happiness” went to Tokyo, Yokohama, Kyoto, Osaka, and Fukuoka. She had her birthday show in May 2013 at Nippon Seinen Kaikan for 2 Days. In May 2014, she had another B-day performance at Tokyo Dome City Hall. In December 2014, she went on to her 9th tour titled “Little Legacy” going to Tokyo, Osaka, Hokkaido, and Niigata. She also writes lyrics. Her flexible voice with the emotional expression appeals to wide range of audience strongly.